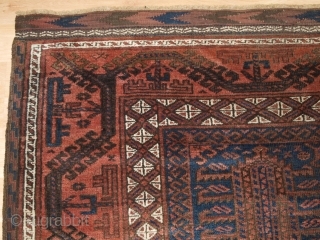 Antique Timuri Baluch main carpet, with superb colour and complete kilim ends. www.knightsantiques.co.uk Size: 9ft 3in x 5ft 8in (283 x 172cm). Circa 1880. a really outstanding Timuri main carpet, beautifully drawn with a superb classic Timuri 'boat' design main border. Note the very unusual side finishes. Great colour through out with good blues, light green, soft reds and burnt orange, highlights in ivory. 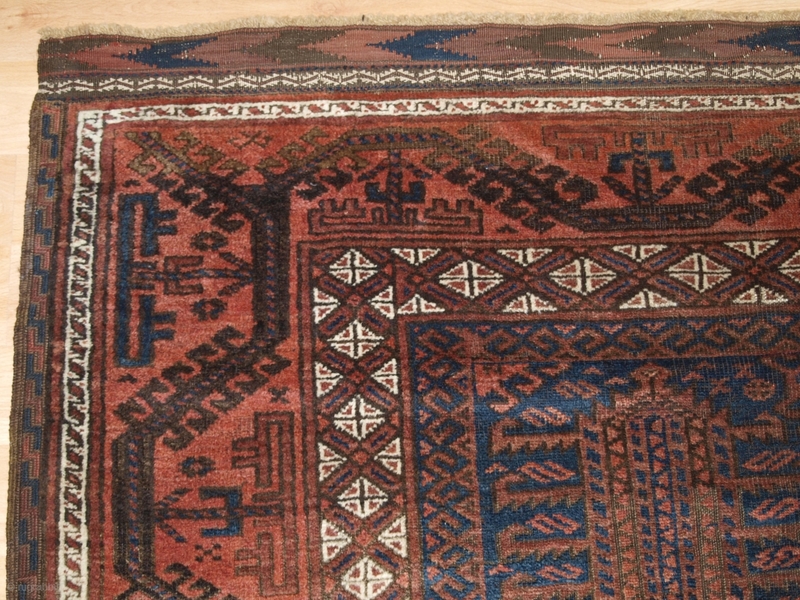 Very good complete long kilim ends decorated with floated weft work. 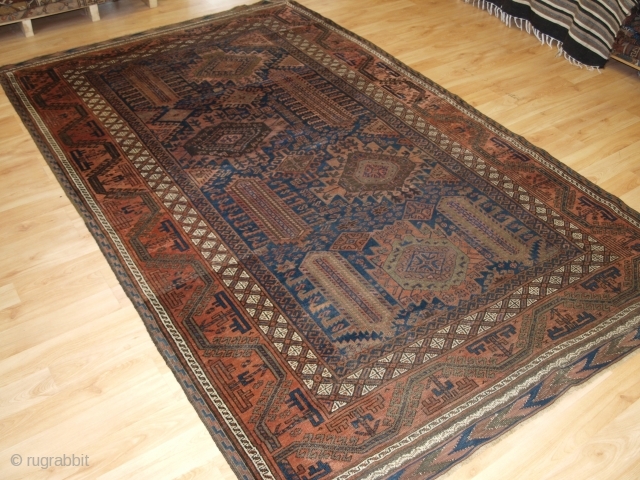 Even wear with good pile, some corrosion, the rug is of very fine weave. Hand washed and ready for use or display, the rug is suitable for light domestic use. Stock Number: ts-01.